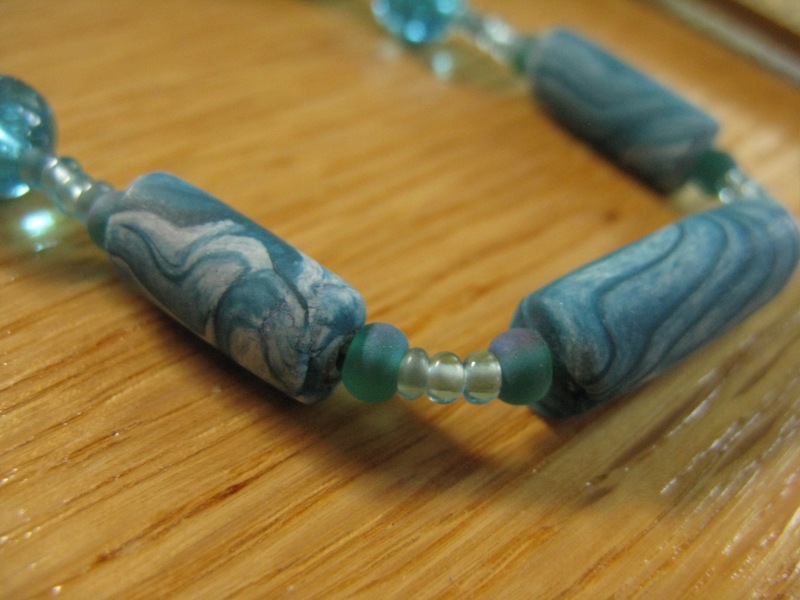 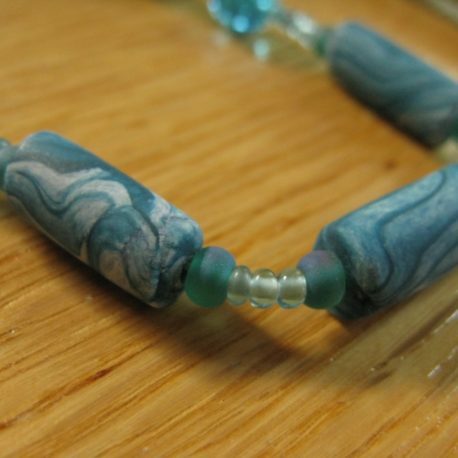 The Aqua Swirl collection captures the summer surf in handcrafted polymer clay beads. 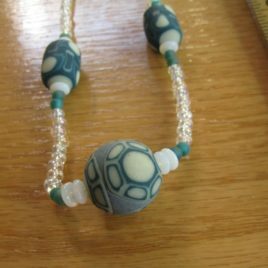 Wear this necklace and earring combination to your next beach party or anytime you want to remember the soothing waves of summer. 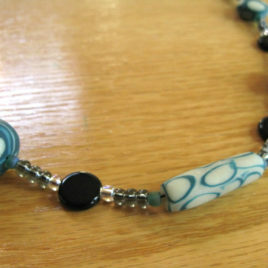 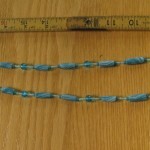 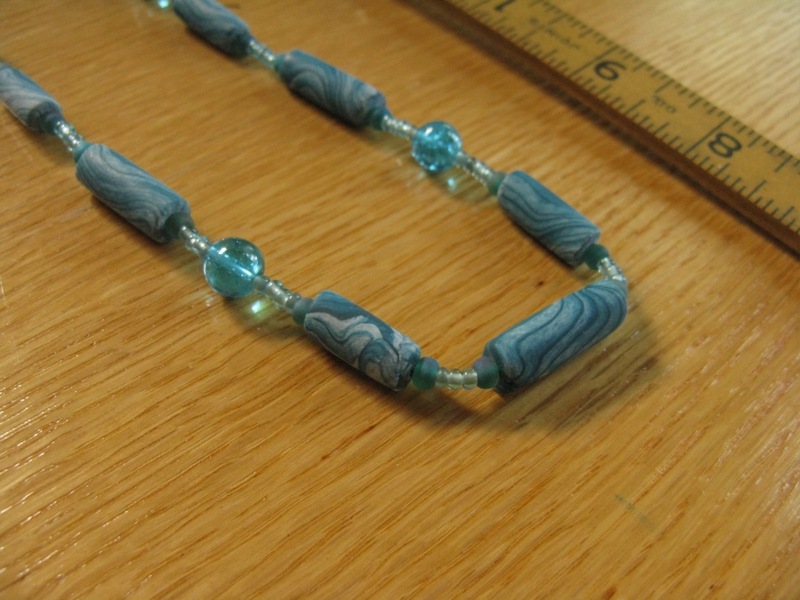 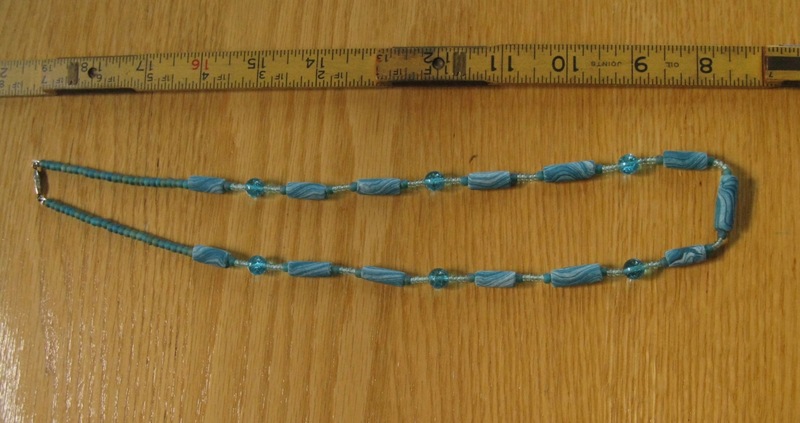 The large beads in this necklace are made from polymer clay, accented with glass beads, all in shades of aqua. 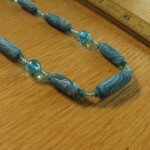 This necklace matches the Aqua Swirl earrings. 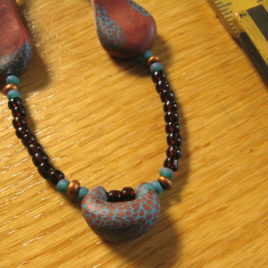 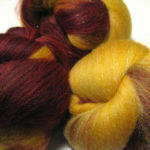 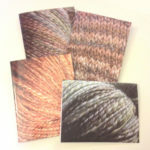 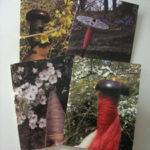 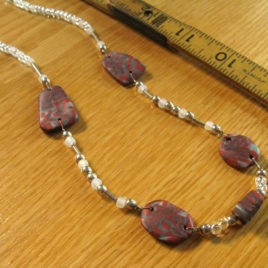 All of my polymer clay jewelry (beads and other shapes) is made by hand, without molds or commercial canes.